Fruttare®, a new company that makes delicious frozen fruit and milk bars, needed a way to generate excitement for their new brand launch. Out of the entire frozen snacks selection grocery stores offer, Fruttare was looking for a way to stand out on the shelf. The brand decided to distribute music download cards throughout grocery stores to increase brand awareness during the launch. With these cards, consumers were able to download five free songs of their choice. 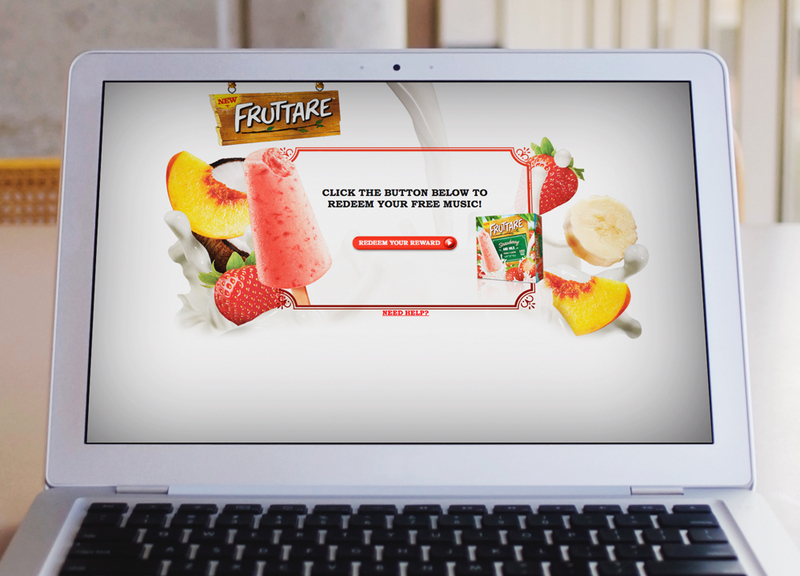 By allowing consumers to pick their own reward, Fruttare was creating an incentive for shoppers to buy the brand's new product. Branded reward cards are compact, lightweight, and easy to ship. This campaign was very easy to deliver to mass quantities without logistic intervention and overall, gave Fruttare a more appealing impression. 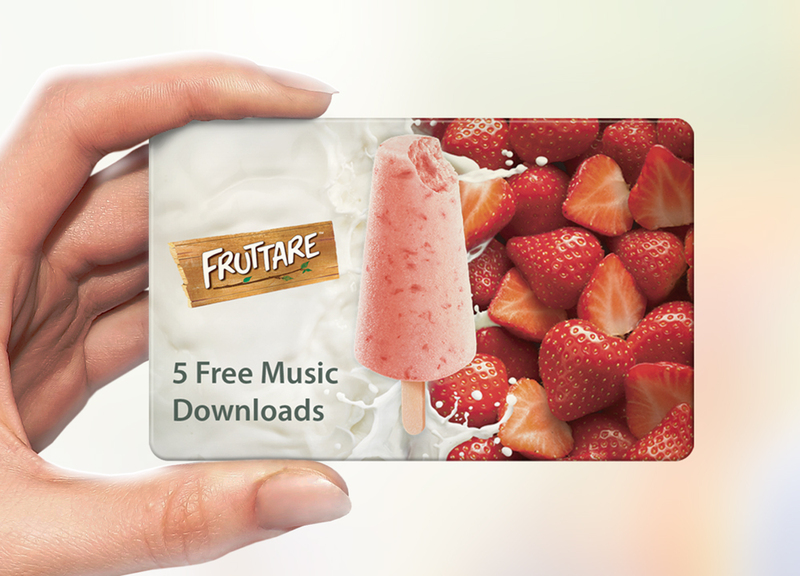 Providing music download cards was the perfect incentive for Fruttare to introduce their new product, and further their brand's awareness.